WWE SmackDown Results (11/27): AJ Styles Returns, More! WWE SmackDown Live Results (11/27): Triple Threat TLC Match Set, Becky Lynch & AJ Styles Return, More! 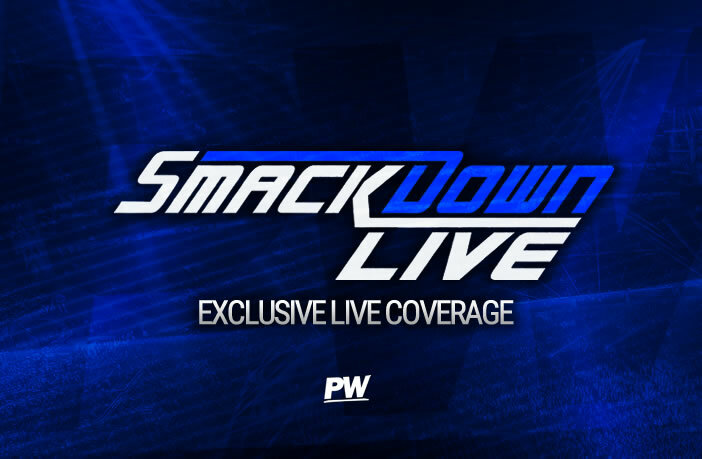 We kick off SmackDow Live with SmackDown Live GM, Paige who welcomes back the SmackDown Live Women’s Champion, Becky Lynch, who obviously returns to a fantastic reception from the WWE Universe. Lynch says when you’re the hottest thing in the industry, any time away is too much time. Becky says she turned up to Survivor Series, but she was stopped and now she says she is done watching and is putting herself back in the game. Lynch says she had to watch someone stand in her shadow and Lynch calls out Charlotte Flair. Lynch says Charlotte came pretty close but if it was the champ in there Ronda wouldn’t be standing and then said she doesn’t think Charlotte knows who she is as it took Charlotte trying to be her for her to take the fight. Flair denies that, adding that she was just being herself, claiming she is the only woman on either roster to give Rousey a beat down and that’s because she is genetically superior. Lynch says she went from copying her old man to copying The Man, she said this time she won’t have her copying her. Flair says Becky is the one copying her old man and then tells Ronda that the Queen stands out in a crowd and she will be in the crowd at TLC and then says she will fight Becky again right now. Paige is then forced to split them up and says she loves this new side of Charlotte Flair and at WWE TLC she will get a WWE SmackDown Women’s Championship match and this time it will be a Tables, Ladders, and Chairs match! They are all interrupted by Mandy Rose, Zelina Vega, Sonya Deville, and The IIconics. Rose says it is a joke and the reality is that any of them could have done the same thing to Ronda and any of them deserve a title match against Becky. Rose says Paige left Absolution and now only gives opportunities to her old PCB teammates but now they are stopped by Naomi, Asuka, Lana, and Carmella. She says they couldn’t help overhear Mandy and they agree and says she knows Paige isn’t questioning her desire. Lynch agrees and says she will slap the head off any one of them. Paige says she loves it and then says every woman will be in a battle royal and the winner will be added to the match, making it a triple threat TLC match. Prior to the match, a backstage segment is shown with Big Show arguing with The Bar and hitting the KO punch to Cesaro, with Sheamus telling him they are better off without him and the Tag Team Champions control the pace in the early exchanges of the match. Back from commercial and The Bar hit some great double teamwork as Sheamus rocks Jimmy Uso with a big knee to the face. Jimym manages to send Sheamus packing though and a hot tag is made as Jey Uso pays a tribute to Roman Reigns and hits an uppercut before paying tribute to their father. Sheamus gets a blind tag which Jey doesn’t see and he then looks to fly over the top rope but is caught by Cesaro with a huge uppercut which gives Sheamus the advantage. The Celtic Warrior hits a knee drop from the second rope and then follows it up by going to the top rope but Jey avoids it and sends him crashing into the post. Jey then hits a big Superkick but Sheamus kicks out just in time to keep the match going. Jimmy and Jey both head to the top ropes and look for Frog Splash but Cesaro catches Jey with an uppercut whilst Sheamus gets the knees up and goes for a roll-up victory but Jimmy kicks out. The Usos then nearly catch Cesaro out but the brothers then catch the Swiss Superman with a double kick to the head and follow it up with a Frog Splash to pick up a major win! The New Day are shown next mocking The Miz for his embarrassing defeat last week and Kofi Kingston reminds him that they picked up the only win for SmackDown, but Miz reminds them that they were eliminated and claims he can beat any of them. Miz claims he will ask his “co-bestie,” Shane McMahon for a match against one of them tonight.